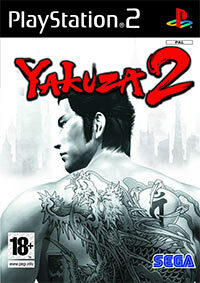 Yakuza 2 is a continuation of the action game with a view from the perspective of a third person, Yakuza, released in 2006. The plot presents the further fate of Kazum Kiryu, a former member of the title mafia organization. Yakuza 2 plunges players into the violent Japanese underworld once more. As the heroic Kazuma Kiryu from the original Yakuza, players will explore Osaka and Tokyo and delve deeper into the continuing mystery in over 16 complex, cinematic chapters. Endless conflict and brutal clashes with rival gangs, the police and the Korean mafia will throw players into a dark shadowy world where only the strongest survive. A vibrant world - like the real Yakuza, players must ingrain themselves in the authentic, neon-lit adult playgrounds of Tokyo and Osaka and become regulars at nightclubs, hostess clubs, restaurants and stores to gain access to secret services and uncover tips. Brutal hand-to-hand brawling - an improved fighting engine allows players to fight numerous enemies at once with less load times and smoother camera angles. Experience Points earned from brawls will help build up strength, stamina and fighting techniques. Twice as much to explore – there’s is now more to see and do than ever before in the hugely expanded world of the Yakuza. Players will visit bowling alleys and driving ranges, as well as cabarets and bars, all licensed from actual Japanese establishments. Authentic, cinematic sequel. The gritty, genuine portrayal of life in the Yakuza is made more realistic throughout 16 gripping chapters with the original Japanese voice cast and English subtitles. Please note: this game features both English and Japanese (with English subtitles) language tracks. All game text and menus will be in English only. Game score 9.0 / 10 calculated out of 276 players' votes. Expectations before the premiere: 5.5 / 10 calculated out of 43 players' votes.